This landmark gift of 102 examples of Latin American modern art will transform MoMA’s collection and its research and education programmes. The paintings, sculptures and works on paper by 37 different artists will join 40 works already donated to the museum by Patricia and Gustavo Cisneros over the past 20 years. An accompanying research initiative will allow the museum to establish the Cisneros Institute dedicated to the study of Latin American art. American collectors Marlene and Spencer Hays have promised their entire collection of some 600 works of art to Paris’s Musée d’Orsay, beginning with a donation of 187 French masterpieces from the turn of the 20th century. Among the artists represented are Odilon Redon, Pierre Bonnard and Édouard Vuillard. This is the largest donation of works ever made to a French museum by a foreign benefactor. This collection of cameo-engraved scent bottles includes items decorated by some of the most significant glass artists to work under George and Thomas Woodall at Thomas Webb & Sons. 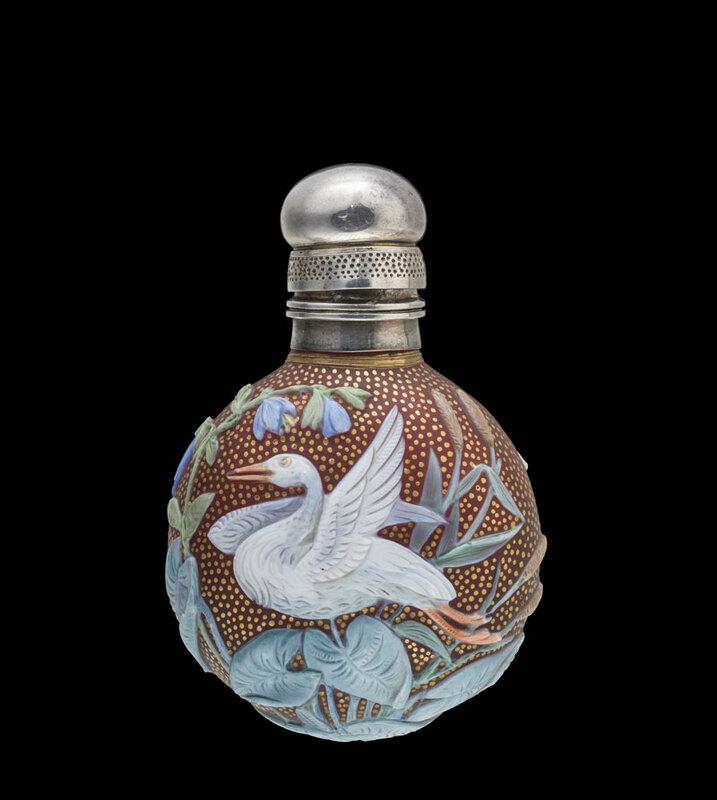 One finely carved bottle carries the rare signature of Harry A. Davies; two others were painted and engraved by Fridolin Kretchman, and gilded by Jules Barbe. The group joins a strong existing collection of English cameo glass plaques, and highlights the range of objects that were available to middle and upper class buyers. In addition, the museum has acquired a recent work by artist Fred Wilson. 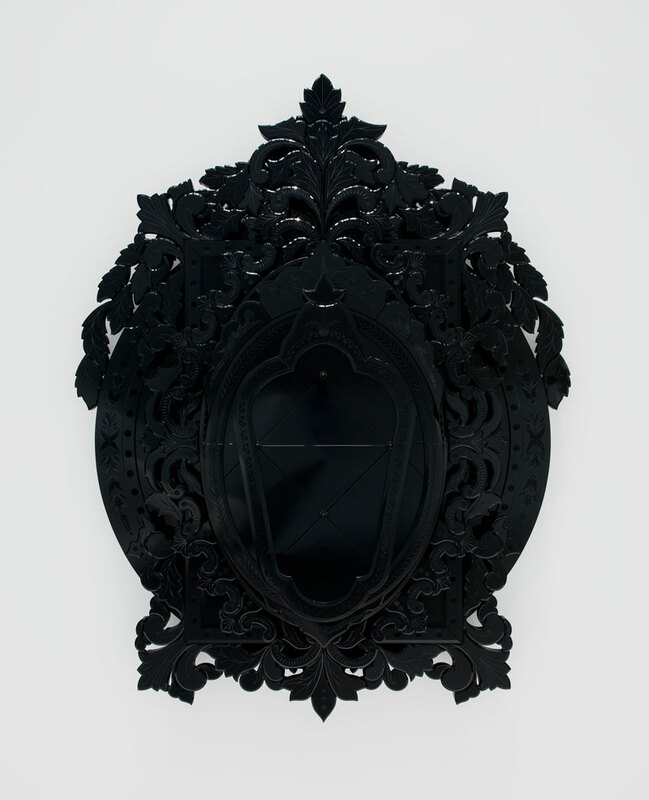 Made in Murano, the piece layers colourless glass onto a painted black surface that darkens every viewer’s reflection and encourages them to reflect on race, beauty, and identity. Stuart and Andrew Douglas spent a decade photographing British cultural stars in the 1990s, producing atmospheric portraits of the likes of Bob Geldolf, Damon Albarn and Tilda Swinton. But their work was very nearly lost when the King’s Cross warehouse they were storing them in was earmarked for destruction. Thankfully, the brothers were able to alert the storage company and retrieve them. Fourteen have now gone to the National Portrait Gallery, and will be put on public display next August. This early landscape painting by Mondrian displays some of the first hints of his later geometric style: the arms of the windmill and bands of cloud set up strong verticals and horizontals that structure the composition. The piece has been acquired for the collection in honour of Henry W. Bloch, chair emeritus of the museum’s board of trustees and a major benefactor. It will join the Marion and Henry Bloch Collection of Impressionist and Post-Impressionist art (promised in 2010 and gifted officially in 2015) and will be displayed in the newly designed Bloch Galleries, scheduled to open next spring. A Woman Feeding a Parrot, with a Page (1666) is one of the finest genre scenes by Dutch artist Casper Netscher, whose talent for depicting different textures and surfaces won him renown in the 17th century. It recently joined the National Gallery collection along with the delicate Imaginary River Landscape (1670) by Herman Saftleven, both purchased with funds from The Lee and Juliet Folger Fund. Willem de Looper’s colour field painting The Duke (1990) has also been acquired, along with two important drawings by modern artist Emil Nolde (Hamburg Harbor with a Tugboat and A Small Steamboat), key photographs by Sally Mann, Andrew J. Russell, and Gordon Parks, and more. At Frieze art fair this year, Tate acquired several contemporary works as gifts using the Frieze Tate Fund of £150,000 supported by WME | IMG. The museum bought six works by Turkish artist Hüseyin Bahri Alptekin, three by Portuguese sculptor Leonor Antunes and one by London based artist Phillip Lai.